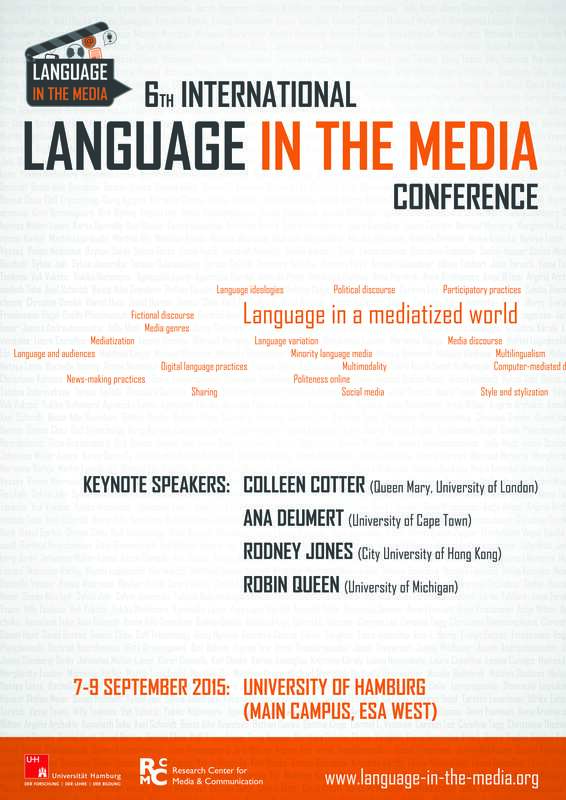 Initiated in 2005 and previously hosted in UK, USA and Ireland, the Language in the Media Conferences bring together researchers from sociolinguistics, media linguistics and discourse studies who share an interest in the study of mass and new media as sites of language, discourse, interaction, and representation. This year’s theme — “Language in a mediatised world” — focuses on language practices in a world where mediated interaction and mediatised representations increasingly shape our experience of community and society. This invites us to question rigid distinctions between media and community language, virtual interaction and ‘real life’, and to reconsider our theorising of communicative and linguistic change.